TalkPoint: Is Modi cold shouldering Trudeau for his votebank politics? Canadian Prime Minister Justin Trudeau’s India tour began with him being received by a ‘junior minister’ at the airport. His visit to the Taj Mahal was also conspicuously low-key, where he was accompanied by the district magistrate. Prime Minister Narendra Modi has not even tweeted a welcome message for Trudeau, or hosted him in Gujarat. Critics say that Trudeau’s domestic pandering to Khalistani Sikh leaders in Canada may be the reason for the tension with the Indian government. 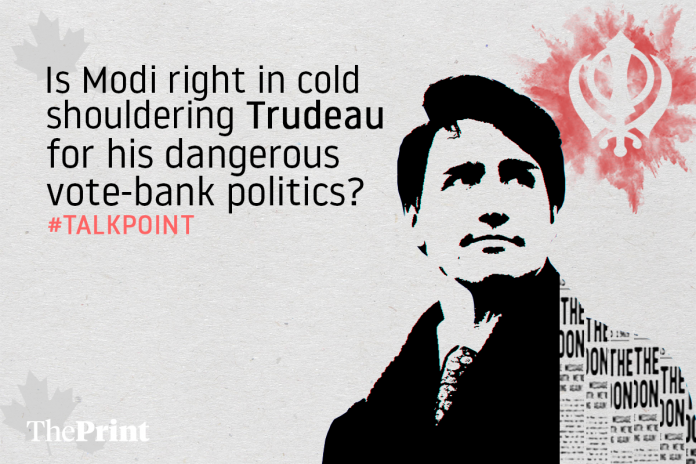 ThePrint asks: Is Modi right in cold shouldering Trudeau for his dangerous votebank politics? We need to contextualise the relationship between India and Canada before we address this question. We are two English-speaking democracies, multi-ethnic & multi-cultural societies with the rule of law and complementary economies. There is nearly a 1.4 million-strong Indian diaspora in Canada, which is another commonality. The countries have worked very well together in a number of sectors, including three key areas — economy, energy and education. There is scope to further expand and deepen cooperation. Yet, there is one issue that does cast a shadow over our ties. Over the years, the Canadian political establishment, across the spectrum (whether it is the NDP, Conservatives or Liberals) has been mollycoddling Khalistani elements. Under the Trudeau government, this has increased. He had himself appeared on a Khalistani platform in Toronto in April last year. In any democracy, there is vote-bank politics. A Canadian political leader will naturally be courting different sections of society to be successful. The Sikhs are a dynamic, vibrant and chivalrous community, and courting them is fine. The difficulty lies with appearing at radical platforms. It provides them legitimacy and the oxygen of publicity. The Khalistani separatists use such forums to whip-up anti-India sentiments and disaffection. India has been taking up this issue at all levels. That said, I completely disagree with the media construct that PM Trudeau is being cold shouldered. He is an esteemed guest and both sides have invested a lot in this relationship. He is here at the PM’s invitation; every courtesy has been extended to him. His reception at the airport was in keeping with diplomatic protocol. We have gone by the book in that regard. Sections of the media in Canada and India are reading too much into this. The engagement day is 23 February, and schedules are drawn-up as per mutual convenience. Trudeau will be meeting the PM on 23rd as planned, I believe then we’ll see the welcome tweet that many seem to be missing and complaining about. Unfortunately, but not unexpectedly, the country called India whose polity is based on caste and community is questioning Canadian premier Justin Trudeau’s so-called vote-bank politics. 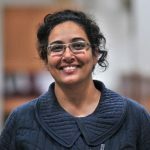 The overt and covert reaction and response to the Indian visit of Canada’s Prime Minister and his colleagues is, at one level, a manifestation of the policy towards Sikhs that goes back to the politics leading to Operation Blue Star, the dastardly army attack on the Golden Temple complex in 1984. When Punjab Chief Minister Captain Amarinder Singh addressed the Sikh Sangat at Dixie Road Gurudwara in Canada years back with the Khalistani banner in the background, the Indian media raised questions. 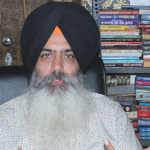 The same media virtually hailed him when he refused to meet Canada’s Sikh Defence Minister Harjit Singh Sajjan for his alleged support to the Khalistani struggle. The same media is now behaving differently when Trudeau is not meeting him during his visit to Amritsar. Whether Modi has listened to the call of journalist Shekhar Gupta or Gupta has articulated Modi’s Mann ki Baat is anybody’s guess, but one thing is clear: the media and Modi are hand-in-hand in trying to embarrass Trudeau. 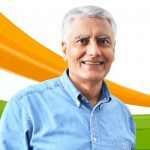 The sectarian Indian media deliberately overlooks the fact that Canada is a highly democratic country where one can express one’s views freely, and seeking a referendum is no crime. The Quebec referendum is an example. Sikhs raising their concerns in Canada should be viewed in this backdrop. Indian democracy can’t match the genuineness and openness of Canada. Earlier, it was Pakistan that was portrayed as the instigator of Khalistan. Now it is Canada. I can speak on behalf of the Congress government in Punjab that, our issues aside, we stand with the Centre on its stand against terrorism. We are a part of India and we have had serious reservations about earlier ministers with terrorist backgrounds who visited Punjab. Terrorism is an international issue. It has no region or religion and must be collectively addressed by the world. Canada has been fortunate that it has hardly seen terrorist attacks. Punjab has been at the centre of it. Justin Trudeau’s visit is a state visit. We wholly agree with the stance against terrorism the Centre has adopted. India has worked over the years to fight terrorism across the world. We appreciate Canada’s liberal government policies, but they sure are aware of our sensitivity on matter of terrorism. I believe our stand is very clear and we feel the Canadian Prime Minister has realised that as well. The Punjab government has received no information from the Ministry of External Affairs or the High Commission on conduct regarding the visit. We respect the dignitary and are very happy to welcome Trudeau, unlike Harjit Singh Sajjan. There is much that can be done in the partnership with Canada since such a large diaspora of Indians lives there. We look forward to working to strengthen our bond. But our position is very clear and we hope the Canadian government appreciates this. The governments of India and Punjab will not compromise on their anti-terrorism stand. It would be incorrect to say that Justin Trudeau’s politics are equivalent to vote-bank politics. That is a concept we practice in India. In the context of Canada, it is important to understand the cultural and political system there. It is a multi-cultural society; they welcome immigration, and very recently, took in Syrian refugees. Their politics reflects their multi-cultural values that we would do well to take a leaf out of. Earlier, some of Trudeau’s ministers had visited India. It was unfortunate that official protocol was not extended to them. Such actions do not reflect well on us as a nation, and could affect the bilateral relationship between the two countries. It doesn’t help our national interest in any way. 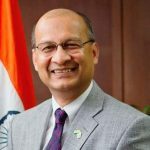 It is petty on the part of Prime Minister Narendra Modi’s government to not have extended a proper welcome to the Prime Minister of Canada. He is the elected head of a country, which has a considerable number of diasporic Indians; we have always been welcome there. Moreover, when our PM visited Canada about three years ago, he was greeted very warmly by the Stephen Harper government at the time. We must remember – governments change, nations don’t. Even the meeting between Trudeau and Punjab CM Aamrinder Singh is suspect at this point – thanks to certain uncalled for comments earlier by Amarinder Singh about Canada’s Defence Minister Harjit Singh Sajjan. All this is detrimental to the India-Canada relationship. The loss is primarily to Punjab, which could benefit in myriad ways. Many Canadians of Sikh origin have been called sympathisers of a certain movement. Except for a small number, most of them are actually people who live in a liberal country where you’re allowed to express an opinion on how a nation should be run. As long as they do not participate in or incite violence, they see no harm in people expressing themselves. The need is to reach out to these people and not alienate them further. Trudeau deserves the same respect that has been accorded to any other head of state who has visited India before; perhaps more. Canadian Prime Minister Justin Trudeau has been in India for two days now, and with each passing hour, it is becoming amply clear that the government of India is not going to indulge him beyond meeting the bare essentials of protocol. The treatment being meted out to Trudeau stands out in sharp contrast with the extreme warmth that Prime Minister Narendra Modi exudes towards other heads of government on their official visits to India. The message from India to Canada is unambiguous: rein in Khalistani supporters on Canadian soil. Modi is believed to have discussed the issue with Trudeau on the sidelines of the World Economic Forum at Davos last month after gurudwaras across Canada banned the entry of Indian officials. 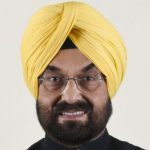 The move was not objected to by anyone in the Trudeau government, which has several prominent Sikh faces. Every Sikh in Canada is not a sympathiser of the separatist movement. Most are focussed on working hard and looking for a life better than what they can manage in India. Following this royal rebuff to their PM, moderate voices within the community need to gather courage and ask the government to focus on real issues facing the Indian diaspora, and sort these out through improved relations between the two countries. Significantly, Trudeau’s visit has brought the Khalistani issue out in the open like never before. The Canadian media has sat up and noticed. And if there are any lessons to be learnt, we hope New Democratic Party’s Jagmeet Singh, the rising star of Canadian politics, is closely watching Trudeau’s visit. Previous articleTalkPoint: Are poor corporate ethics giving Indian capitalism a bad name? Next articleTalkPoint: Is it impossible to fix India’s disastrous PSU banks? I am really pained at the arguments of some of the local leaders including from AAP party, who covertly or overtly support the secession of India. If Trudeau is openly supporting Khalistan then why doesn’t he let it to be carved out from Canada? Or why don’t the Khalistanis fight with Pakistan where Sikhs are still religiously being persecuted?? What I don’t understand is why Canadian PM is not taking steps to carve out a piece of land in Canada and allow it to be turned into Khalistan. I am sure he will receive full support from everyone. The resolution passed there and now getting imitated in US and UK was clearly aimed at Indian official. I don’t think it is merely freedom of expression. He had to be snubbed and he has rightly been. Right now the trade between both the countries is evenly balanced. No official comes to any country including ours without any interest of there own. Looking at the market India is everyone is interested in investing here. In case investing in India right now seems to be of lowest risk. Very high chances that few years down the line some one will corner all the money and run away preferably to Canada only. What can better investment option. Indian government’s treatment of the Canadian PM is as per protocol and absolutely correct. We should not go overboard to the PM of a country that that at least two Khalisthani supporters in its council of ministers. The message should be clear to him. Seriously who says Pm should meet every visiting foreign dignitary? Stop following your social media friends post and start reading books. Modi did not exactly break any protocol by refusing to receive the Canadian PM at the Delhi airport this time around.PM need not accompany a visiting dignitary everywhere. he was not present even when Iranian President Hassan Rouhani visited Hyderabad on Friday. Without even thinking or studying India’s constitution some just write their dream thoughts. Governments work on some rules and discipline and not on emotions. This is bad for Punjab which is already facing problems like farmer suicides and deplorable conditions in education and health sector. Canada has a large Indian diaspora in general and people of Punjabi origin in particular. Remittances received from Canada to Punjab help running many household. Many people there would be more than happy to invest here, would want to help in development and growth and we could stand to gain a lot. Lastly, we should also keep in mind that the Canadian PM is an elected representative and should be treated like one. Countries constantly tottering on the edge of referendums — reality of this world 100 years after the war. Quebec, Scotland, Crimea – it doesn’t spare anyone. Vengeance is always all consuming, and there’s pretty much no logic to how and how long it can fester. I wonder why governments don’t ever put in effort to not reach the brink. Are diplomats and peace-negotiators across the world asleep, or have Governments turned so vile that there’s no way back. India is a clear-cut picture, frankly — if the majority keeps treating minorities like manure, it will have to be ready for something snapping somewhere. Majority’s hatred of minorities is oxygen for discontent. Pipe down the hatred, and you’ll find the courage to laugh at demands of Khalistan. Bury a guilt conscience smugly and your hatred will get reflected in any minority: Muslims, Sikhs, Dalits, women, farmers, anyone. It’s not rocket science. Congress has to come clean on 84 excesses. And BJP which has gone mental and created mini minorities even within Hindus, will have to rein in their thugs. There’s no dearth of divisions in India, and contrary to majority belief, noone likes daily staple of violence. Ignoring Trudeau is churlish ofcourse. But not meeting that Def minister is also foolish. What are you – in Class 3 of school? Hear out the rabble rouser or you ll be caught clueless like always. “I won’t talk to you” is so Class 3.